Barnes & Noble has invested in Flashnotes, an online marketplace where students can buy and sell the notes they have taken for their classes. The deal, which was announced Monday morning, was made through B&N Education. Barnes & Noble had previously said that they planned to expand the soon to be spun of subsidiary's focus through acquisitions and partnerships, and now we know they weren't just talking about deals with publishers. FlashNotes is a 5 year old online marketplace which enables students to buy and sell student-created curricula, including notes, flashcards, and study guides. The site also lets students sell videos where the student explains a difficult concept which can't be conveyed via text (think Khan Academy). B&N hasn't disclosed the terms of its deal with FlashNotes. We know they're not calling it an acquisition, but no more than that. We also know that B&N plans to promote FlashNotes in the college bookstores it runs as well as on those stores' websites. 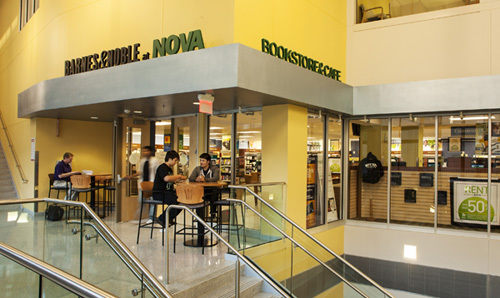 B&N currently operates just over 700 college bookstores in the US. The stores will be spun off into their own publicly traded company in August 2015. And by the time that happens, I would expect to hear of several more deals. I was a little surprised to read of the partnership today. I didn't think B&N really meant it when they said they would be striking deals; I actually thought that was more hot air along the lines of talking up the wonders of Yuzu (which users report is completely useless). But in retrospect, this deal makes sense for B&N Education. And now that we can see that it sees itself as much an ed tech company as a retailer, I would bet that the next deal will involve some type of connection to Google's Apps for Education, or some of the other services Google offers to schools. That kind of strategic partnership would make sense on both sides.